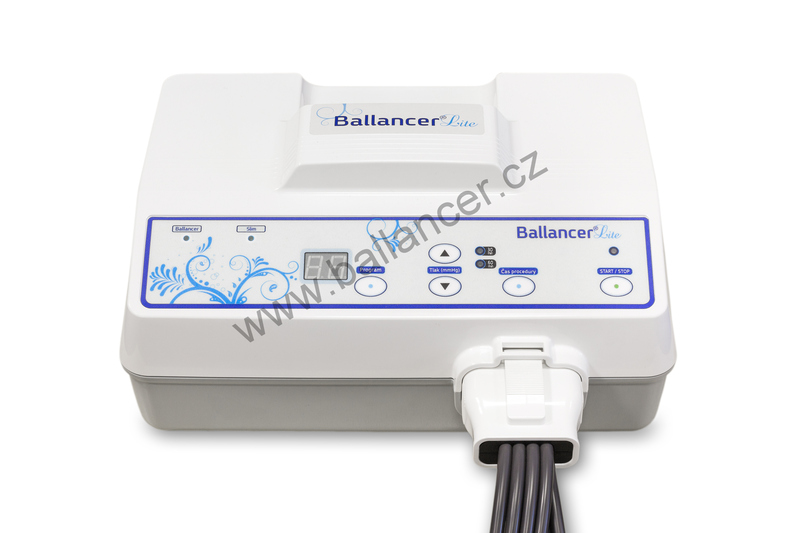 Ballancer is a compression therapy system used for effective lymphatic drainage. 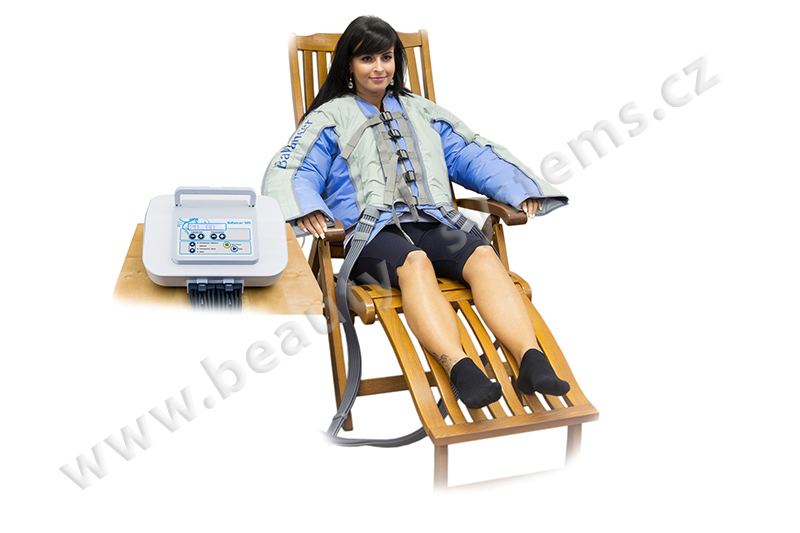 It is used by aesthetic professionals in salons, clinics and spas. 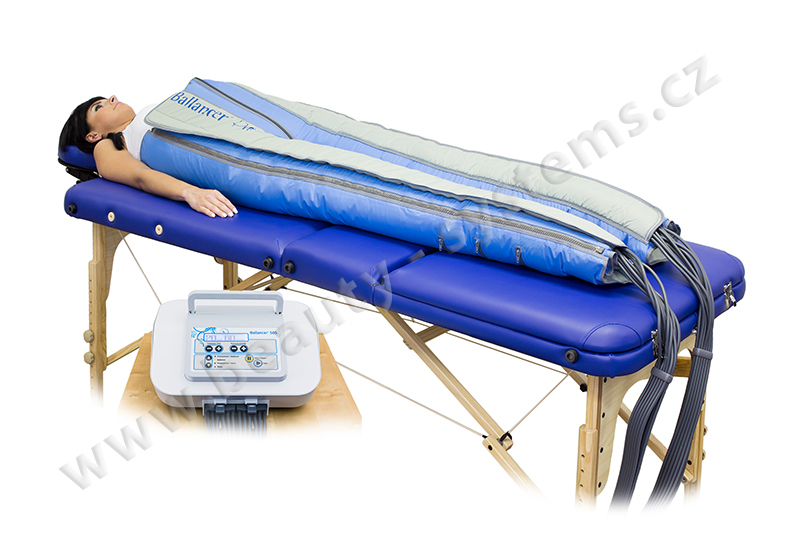 The device is suitable also for personal use and for regeneration after sport. 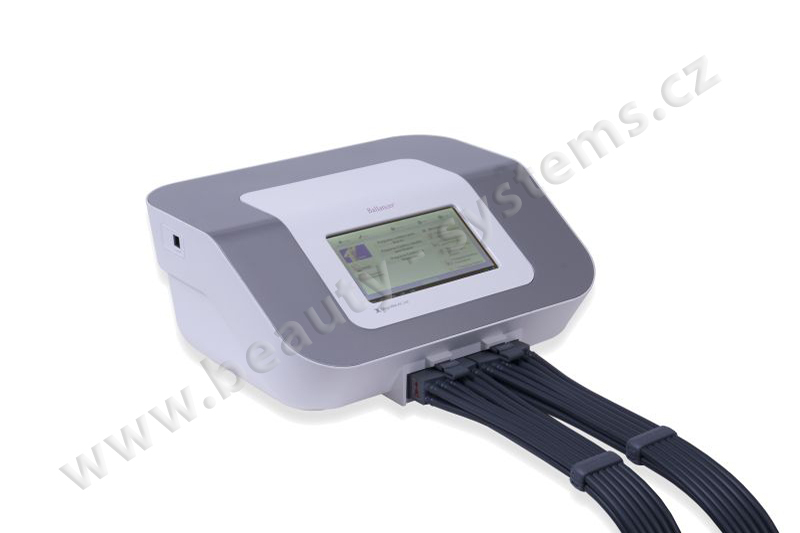 It is also a necessary tool in studios where cavitation, cryolipolysis or RF treatments are operated. It markedly helps to treat cellulite and with body forming. 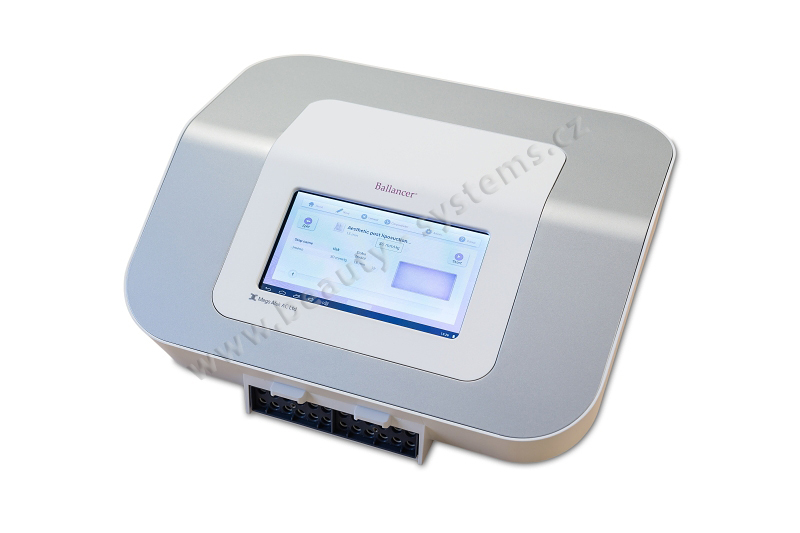 Ballancer Lite – basic model of Ballancer professional product line. 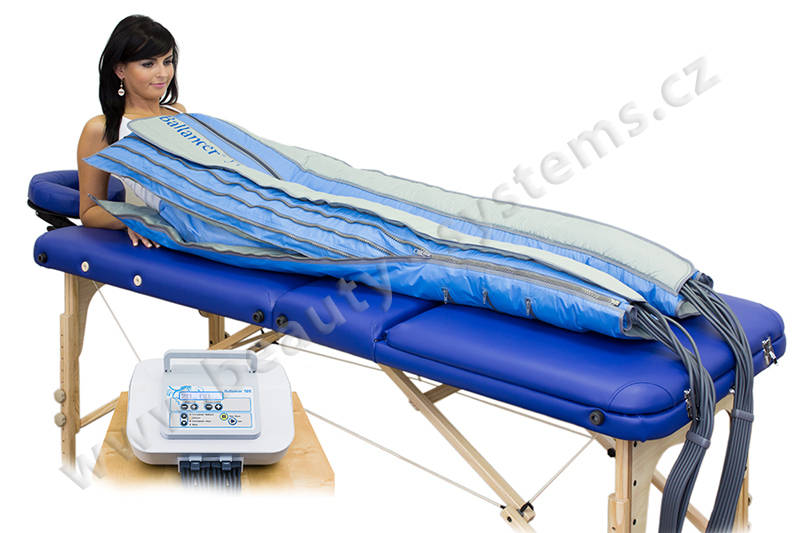 It is aestetic and regeneration device, which has 2 types of programmes – Ballancer and Slim. Suitable for personal use or small studios. This device operates with 16-chamber-pants. 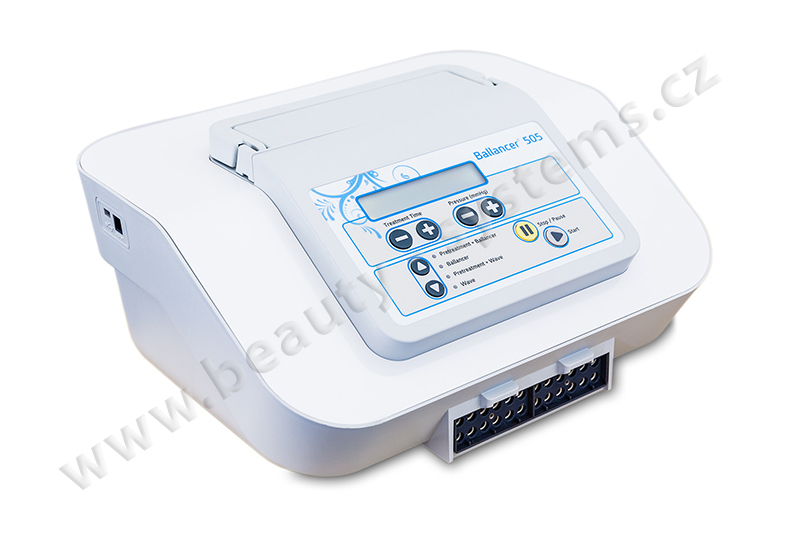 Ballancer 505 – With its functions, unique features and simple use is suitable for most beauty salons, studios and spas where a professional lymph drainage is offered. 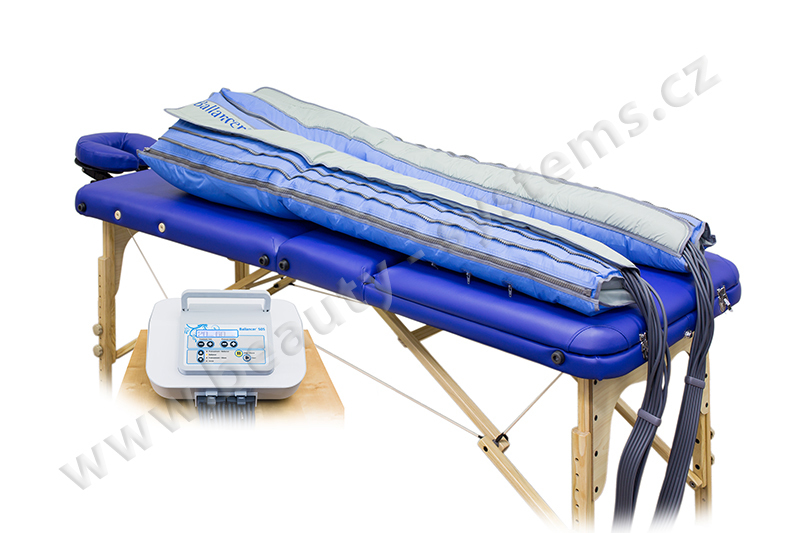 Ballancer 505 provides these lymph drainage programs: Pretreatment, Ballancer, Wave. It is compatible with unique garments – Ballancer Pants (24 -chambers ) or Ballancer Jacket (24 -chambers ). 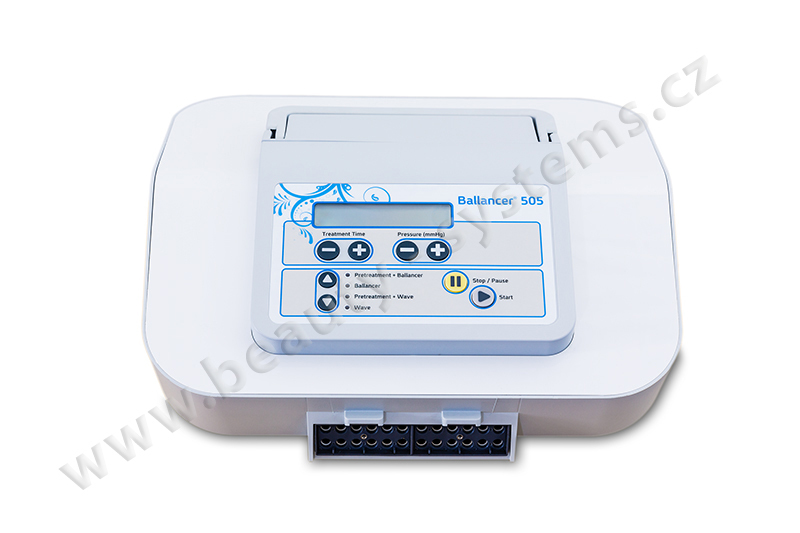 Ballancer 606 – is the top model of Ballancer device. Includes touchscreen and it is now the best instrument in the world for aesthetic lymph drainage. 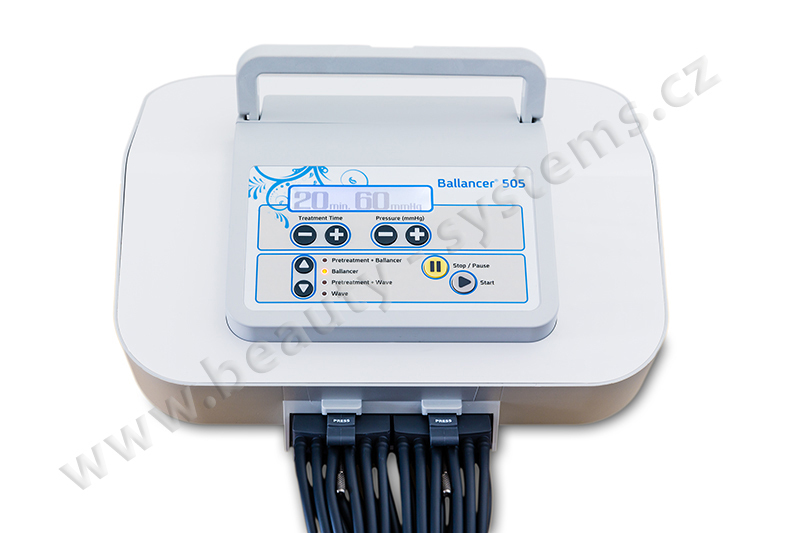 Balancer 606 provides and combinate these lymph drainage programs: Pre-Therapy, Ballancer, Lympha Gradient, Wave. It is compatible with unique garments – Ballancer Pants (24 -chambers ) or Ballancer Jacket (24 -chambers ).